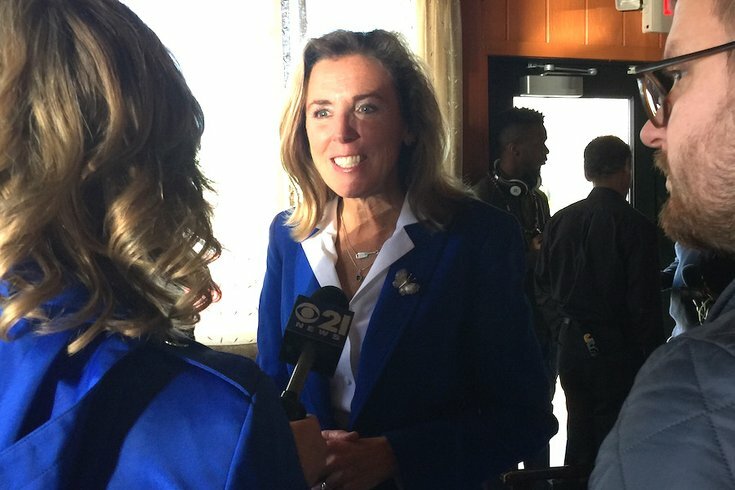 U.S. Senate candidate Katie McGinty stopped by Relish restaurant in West Oak Lane for a lunchtime Election Day gathering on Tuesday, Nov. 8, 2016. When members of the city’s political contingent made their way to Relish restaurant in West Oak Lane for the annual Election Day lunch gathering, PhillyVoice presented them with a question that seemed easier to answer than it ended up being. It went a little something like this: In one word, describe your feelings about the end of a tumultuous presidential campaign that drove the country to the brink of insanity. Turns out that the one-word limit was a bit too confining for the thoughts of folks who speak a lot in the course of their daily lives. Gov. Tom Wolf: “It’s great to be able to do our civic duty. It’s a beautiful day for democracy."